I’ve done made some plans for later on tonight. What’s your name, little girl? You probably know well the lyrics from Lynyrd Skynyrd’s hit tune What’s Your Name. And you can see that even the legendary Southern rock band had convenience issues. They were pressed for time. We all are. 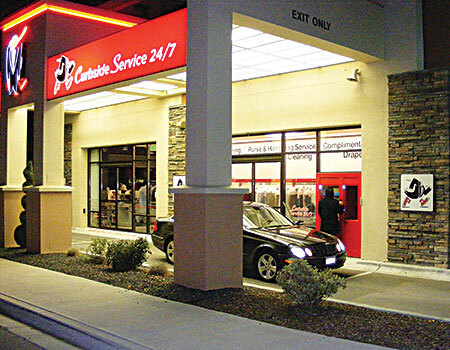 At 8 o’clock at night in Boise, and many other places, your customers will need dry cleaning. That’s a fact! More and more drycleaning services are becoming available through many options. And that’s the name of this new game — omni channels. Give your customers as many convenient ways as possible to make their life easier and more joyful. 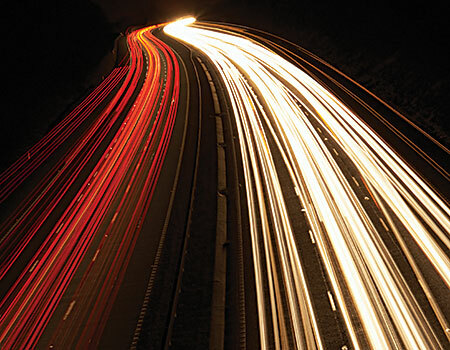 It happens with more channels and more partnerships to get the job done easier and faster for them. 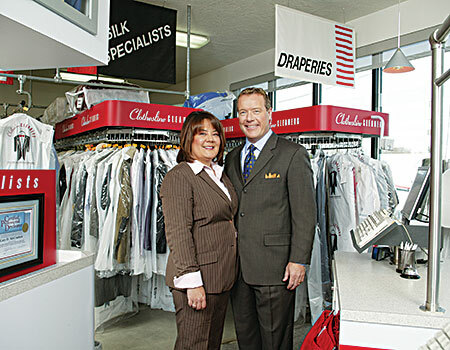 Enter Gary McCracken, who, with wife Keh, owns Clothesline Cleaners in — where else? — Boise. He is describing the operation’s drive-up lane and kiosk system that enables customers to drop off and pick up their hanging orders anytime. But Clothesline Cleaners still has “dedicated over-the-counter traffic, as well as a very steady route business,” he adds. For over 30 years, it has been committed to providing clients with the highest quality care and finishing of garments. But there are challenges in offering more services. Because there is generally little competition in those specialty areas in its region, Clothesline Cleaners can set its own price point to maximize profit, he adds. Many streams offer customers easy paddling to your services. But are you offering them? “A customer can access cleaning services from many different channels today,” says Kyle E. Nesbit, vice president of business development at Texas’ MW Cleaners, with responsibility for brand management, marketing programs, and more. Dry cleaners, he suggests, need to realize that the experience throughout all of the channels should be seamless and integrated. With 37 Houston area locations, MW Cleaners prides itself as a high-quality drycleaning company that specializes in wedding gown preservation, alterations and specialty cleaning, according to Nesbit. His company opened two state-of-the-art, fully staffed, 24/7 locker stores that it calls MW Clean Closet. A third store is in development. At the heart of the omni channel and digital crusade is the desire to become as convenient as possible. In still other channels, his company offers locker services in office buildings. Single-tenant buildings have proven to be far more lucrative, he points out. “Because management tends to view the locker service as both an employee benefit as well as a way to increase productivity by making work schedules more flexible, they are more prone to promoting it,” says Nesbit. “I no longer believe that the key for traditional dry cleaners is to simply open more stores,” says Mike Bleier, owner of Greener Cleaner in Chicago, and a member of the American Drycleaner Advisory Board. There are simply too many ways that the drycleaning customer can be reached, and every little bit takes away from these traditional stores. He started his own business, Drive Cleaning, featuring free pickup and delivery, in 2004. In 2011, he bought Greener Cleaner, which he says pioneered eco-friendly cleaning by becoming the country’s first 100% wet cleaner in 1995. He’s had five different stores over the years. But times have changed, and he no longer thinks stores are the best return on investment for dry cleaners looking to expand. Customers using the service have to understand that it is “unattended,” he says. “We do not set specific appointment times, or even time ranges. He treats everything that comes through the app as “specials” and turns them around in 24 hours, enabling customers to have their cleaning picked up Monday night and delivered on Tuesday night, for example. Dan Miller owns Mulberrys Garment Care, based in Minneapolis, with recent expansion into the San Francisco area. Speaking more about the revenue “river channels” of today, he weighs in: “The biggest challenge is complexity. Managing one store with set hours, as it’s been for decades in the drycleaning business, is considerably easier than managing multiple stores, lockers, kiosks, and delivery drivers,” he says. To Miller, it’s just the continuation of the trend of customers wanting services performed on their schedule and not the other way around. “The businesses that recognize this will have a meaningful advantage,” he says. When drycleaning operators marry brainstorming with partnerships that fit well, profits can be had.